This was our 8th Annual Conference image. It is a continuation of the previous images's battle scene. In the previous one you saw archers on a tower which you can see in the lower right background of this image. 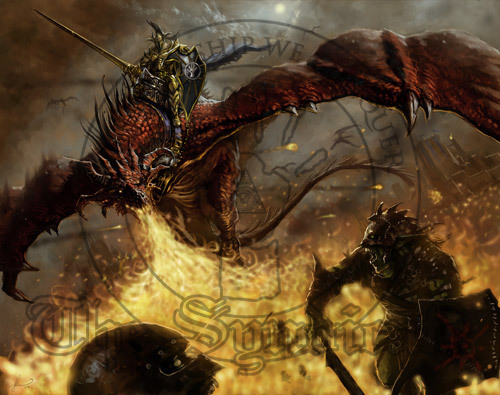 This one shows a Syndicate dragon rider raining fire down on the attacking army.